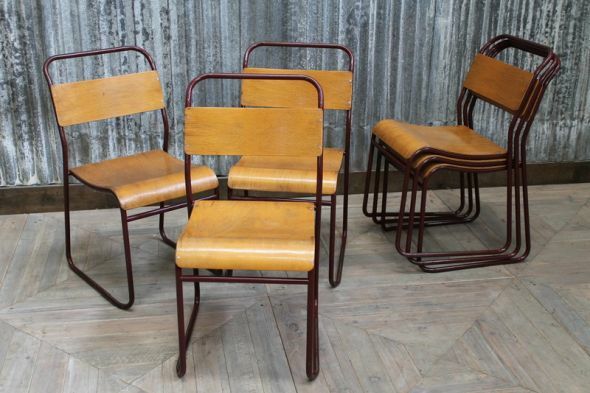 This is a great chance to purchase some retro metal chairs with a burgundy Bakelite seat and back. 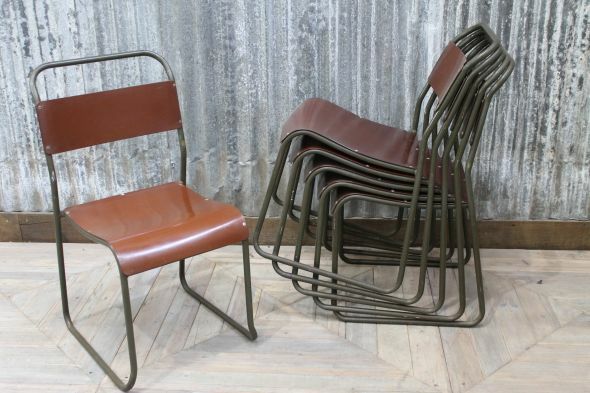 With their authentic vintage appearance, the chairs would add an industrial edge to any interior. 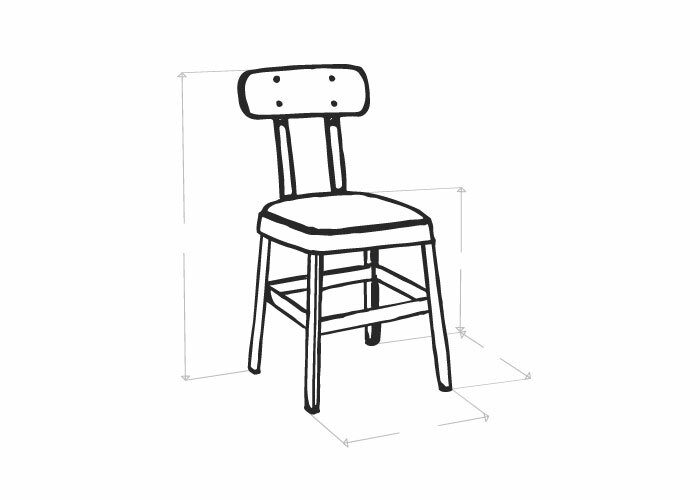 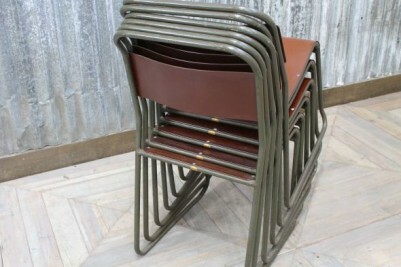 The versatile nature of these stackable dining chairs makes them ideal for bars, restaurants or domestic properties, and they are also great as additional seating for parties or functions. 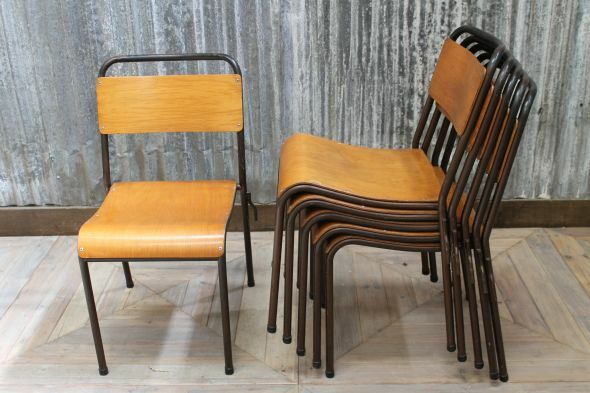 The chairs are all in good condition but will have signs of wear and tear as they are over 50 years old. We feel that these imperfections only add to their charm and character. 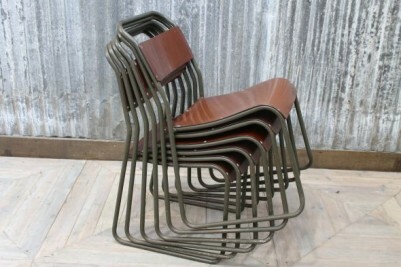 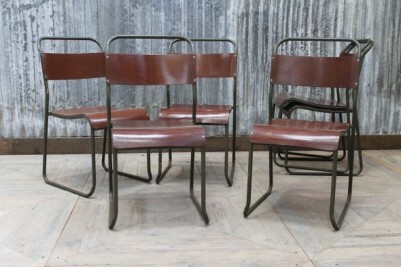 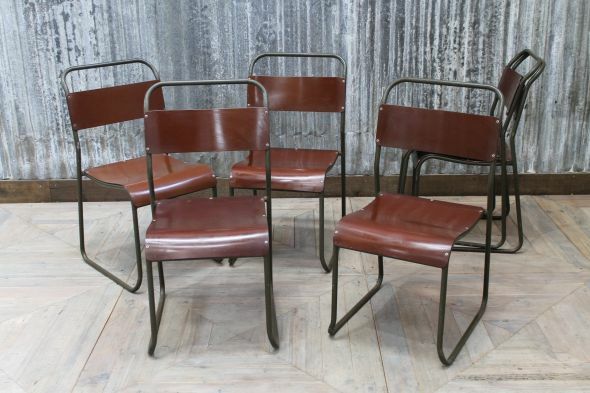 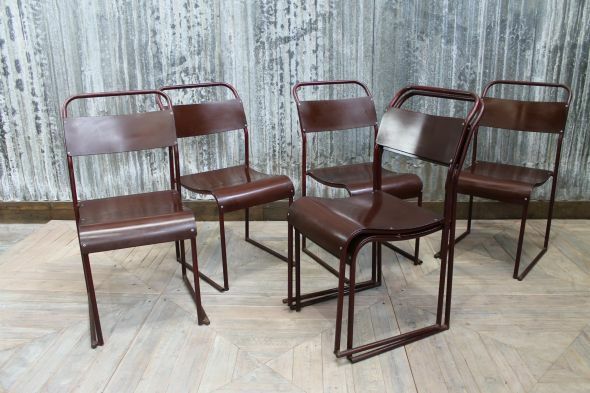 You can continue to browse our website to see our full collection of vintage stacking chairs. These chairs are priced individually but can be purchased in larger quantities if required.